Gulf Capital, a top alternative asset management firm, has entered into an agreement to sell Destinations of the World (DOTW) to Webjet, a world leader in B2B travel, for $173 million, resulting in an IRR in excess of 15 per cent and making it one of the largest technology exits to date in the Middle East. This acquisition will firmly solidify Webjet’s position as the number 2 B2B travel player globally. Webjet is acquiring DOTW from Gulf Capital, its founder and its management team. “Gulf Capital has worked very closely with the DOTW management team to build a high-quality global business with a strong market position over the last five years. Under Gulf Capital’s ownership, DOTW has nearly doubled its Total Transaction Value from $279 million in 2013 to an estimated $529 million for the last 12 months to June2018. “During its ownership period, Gulf Capital has also transformed DOTW from a local player into one of the world’s largest B2B players through a series of bolt-on acquisitions and rapid organic expansion across Asia, Europe and the Americas. This transaction is yet another example of Gulf Capital’s ability to back local businesses and to transform them into global leaders,” he added. Webjet’s managing director John Guscic said: “I am truly delighted to announce the acquisition of Destinations of the World which solidifies WebBeds’ position as the #2 B2B player globally. WebBeds is focused on helping our clients succeed and enabling our hotel partners to respond to fast-changing market trends. Following the acquisition, WebBeds will have more than 2,100 employees, allowing it to provide truly local support to its worldwide partner network. It will feature a portfolio of more than 250,000 hotels in all regions of the globe, of which c.28,500 are directly contracted. “In the case of DOTW, we have managed to attract a world class management team, streamline the operations through offshoring back office functions to the Philippines, expand rapidly around the globe through organic expansion, and complete a series of bolt-on acquisitions and, in the process, nearly double the size of DOTW. “Gulf Capital has also invested aggressively into DOTW’s technology platform, migrating it to the cloud, upgrading its infrastructure and expanding daily online search capacity from less than 10 million searches per day to 1.5 billion searches. DOTW’s technology platform is now considered one of the leading platforms in the industry. 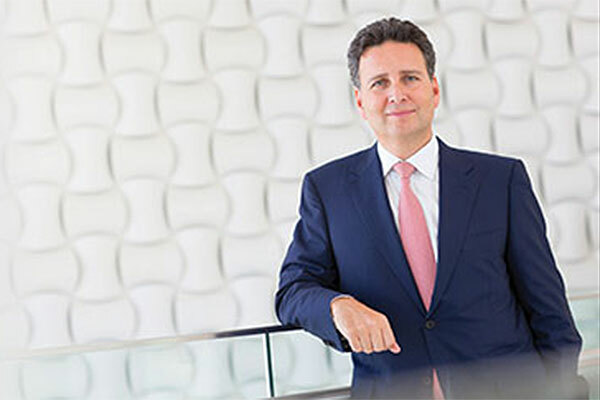 We are confident that DOTW will continue its robust growth trajectory under the ownership of Webjet and that the combined group will achieve significant scale and synergies,” he added. Dr El Solh concluded: “This is a landmark transaction not only for Gulf Capital, but also for the entire private equity industry in the Middle East. It highlights the ability of regional private equity firms to make focused bets on technology firms in the Middle East, to add significant value, to secure sales to global strategic buyers and to generate attractive returns for investors. DOTW is a global pure-play B2B accommodation wholesaler connecting highly fragmented suppliers with travel bookers/retailers (travel agents, online travel agents and tour operators) and third party intermediaries.